Clean Your Gutters – When leaves and debris collect in your gutter system, eventually, it will create a clog in the downspouts. 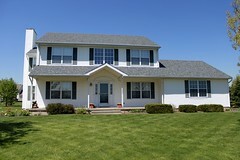 Rain water will overflow the gutters, damaging your roof, trim and siding. The added weight of the wet leaves and water could also cause your gutters collapse. To prevent these problems and unforeseen repair costs, make sure to keep your gutters relatively clear through the fall. And, once the trees around your home are bare, do a thorough cleaning. You can also get out ahead of the fall season and have gutter screens or guards installed by a Central NJ roofer to prevent the collection of debris in the first place. Clear Off Debris – It’s important to remove leaves, pine needles, and other debris from the surface of your roof as well as your gutters. Even small bits of debris will hold moisture and possibly rot or mold, which will break down your roofing material. If you’re confident and experienced in walking on your roof, get up there and broom or blow off the debris that has collected on your roof, paying special attention to the valleys, which are most vulnerable to water damage. Make sure they are free and clear of debris so as to allow water to flow. 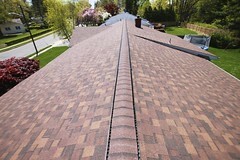 You can also contact a Central NJ roofer to do the job. Attic Insulation & Ventilation – Without proper airflow in your attic, you could be looking at higher energy bills and roof leaks emerging in a snowstorm. 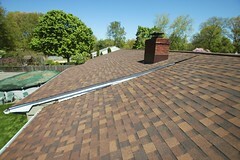 During the day, sunlight hits your roof and heats up the air in your attic. Without vents located at the soffits, ridges, and/or gables of your roof, the hot air condensates, causing moisture damage and possible mold or rot in your roof’s supports. 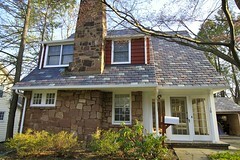 Need the Services of a Good Central NJ Roofer? Biondo Contracting is a Central NJ roofer that offers roof replacement services, roof installation services, roof repairs, siding services, and many other roof services to the Central NJ area. They service towns such as East Brunswick, Livingston, Short Hills, Point Pleasant, South Brunswick, Hillsborough, Bernardsville, Bridgewater, Green Brook, Madison, Somerset, Millburn, Bay Head, Springfield, Manalapan, North Brunswick, and many more. For more information on this expert NJ roofing contractor and it’s services, or for a free roofing estimate, call Biondo Contracting today at (732)257-2926 or visit the website.